The universal international condemnation of the anti-Islamic film “Innocence of Muslims” - whilst defending at the same time the freedom of individuals to express those abhorrent views - has come in response to the anger and violence that has broken out in many Moslem populations around the world and cost the lives of the American Ambassador to Libya - J Christopher Stevens - and three other members at the Embassy in Benghazi on September 11. In 1974 the PLO was appointed as the sole spokesman for the Palestinian Arabs - and its leader - Yasser Arafat - was welcomed to the United Nations with an olive branch in one hand and a gun in the other. Since then the PLO has progressed its above declared racist policy of recovering every square meter of former Palestine and denying all Jews any right to Palestinian nationality in any part of former Palestine. It refuses to acknowledge Israel as the national home of the Jewish people. The President of the United States should refuse to welcome PLO leader - Mahmoud Abbas - to the White House or maintain any diplomatic discourse with the head of such an Organization. Let President Obama and Secretary of State Clinton issue such a declaration. Other countries that have come out so strongly against “Innocence of Muslims” should be equally as responsive in rejecting the retention of these racist provisions in the constitution of an Organization they deal with. Financial assistance - now running into billions of dollars - should be discontinued until these provisions are removed. Should Islam - being a religion - indeed a divine religion - be treated by the world in the same way Islam seeks to denigrate the Jews? Should the 56 Islamic member states forming the Organization of Islamic Co-Operation be denied any national identity or national recognition as Islamic states? Clearly not. 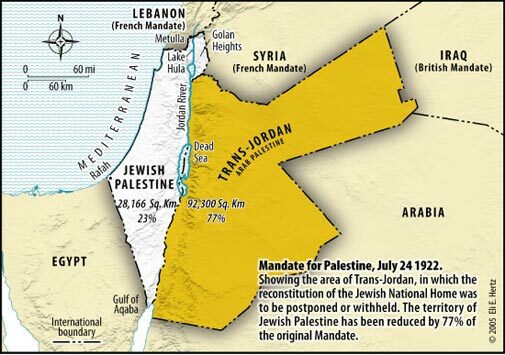 At the same time Jews need to be treated differently by these Islamic states – which - with the exception of Egypt and Jordan - still have not recognized Israel after 64 years of concerted and ongoing efforts to deny the Jews a state in their biblical and ancestral homeland since Israel was established in 1948. “Now and then the call goes out for the convening of an international conference to look for ways of solving the (Palestinian) question. Some accept, others reject the idea, for this or other reason, with one stipulation or more for consent to convening the conference and participating in it. Knowing the parties constituting the conference, their past and present attitudes towards Moslem problems, the Islamic Resistance Movement does not consider these conferences capable of realising the demands, restoring the rights or doing justice to the oppressed. These conferences are only ways of setting the infidels in the land of the Moslems as arbitraters. When did the infidels do justice to the believers? “But the Jews will not be pleased with thee, neither the Christians, until thou follow their religion; say, The direction of Allah is the true direction. And verily if thou follow their desires, after the knowledge which hath been given thee, thou shalt find no patron or protector against Allah.” (The Cow - verse 120). Those who have voted such an organization into power and do nothing to seek a change in its Charter or to overthrow it - must bear the consequences of their decisions. Jew-hatred - more than anything else - has been the driver in not ending the 130 years old conflict between Jews and Arabs. It did not begin in 1967. Band aids – yes. But a lasting peace – never.